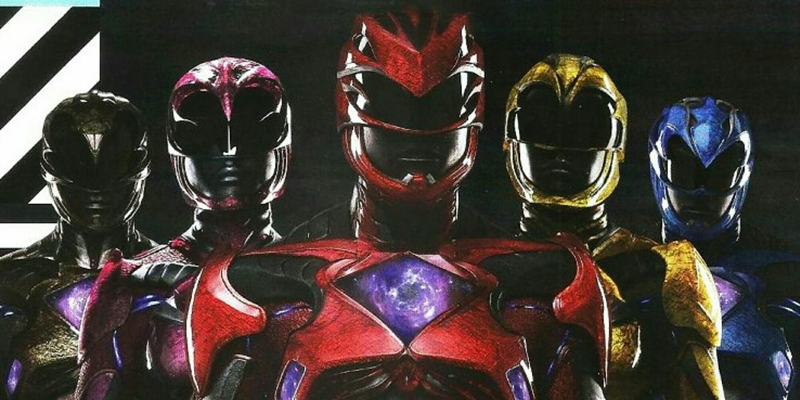 All I really wanted from Saban’s Power Rangers was for it to be entertaining. I loved the original American show as a kid, followed it religiously and had my Ranger toys at the ready, but I’m no purist in this regard. There were things I didn’t worry about, I had no personal stake in this. Turns out that worked really well because…well, I got what I wanted. The new film is not a wholly absolute blast. It has some character problems, some cliches that we’re all tired of seeing. It has obnoxious music that, while not as much of an assault on the senses as last year’s Suicide Squad, was still annoying (the inclusion of Kanye’s “Power” probably should have been limited to the trailer). It has a distinct lack of character for many of the main cast, then drops tons of it on you all at once. For those who really don’t like when things get too “teenagery” you really won’t like this but it felt right for a film version of this. All that said, it was pretty damn hard not to enjoy the hell out of myself during this one. The cast has great chemistry together and, surprisingly, are all semi-capable to really solid performers.I was surprised, given the marketing, that they held off on the romance angle and it is barely a factor in the film but what little of it there is works. The story is surprisingly coherent. We’re given Earth, 65 million years in the past, as Zordon dies trying to defend it as the former Red Ranger (a change from the lore that will no doubt enrage some of the faithful). We then shoot forward to 2017 and very modern teenagers dealing with some surprisingly adult problems, forced to come together through odd circumstances. I thoroughly enjoyed the odd friendship built between Jason, high school jock gone wrong, and Billy, an autistic boy who wound up being my favorite character in the movie. These two set it all off, even Kimberley only being included because Jason is busy checking her out and flirting with her in the woods. These are very John Hughes interactions and it still works, even though the 80’s are a distant memory. A really out-of-left-field tip of the hat to Ludi Lin as Zack, the Black Ranger. For a lot of this film we are given just a goofy performance, with him constantly reminding us just how crazy he is and giving the most fun performance but about ⅔ of the way through the plot he slows down. This scene is meant to be a character-building moment for everyone but he really shines here and delivers the best moment of performance we get, which tickled my inner nitpicky film-fan to no end. Seriously, it really was a nice moment from Lin and I’m excited to see him going forward, see if he can keep that kind of thing up. A major disappointment was the lack of actual morphing or Zords for nearly the entirety of the movie. We get most of the way through the film, with all of the real action and set pieces saved for the big finale. That finale really delivers in the badassery I wanted from it, I just wouldn’t have minded having some things peppered throughout since we’re dealing with a much darker Rita Repulsa than we’ve had before and it could have made for some great action. e just how over-the-top she gets. At the end of the day this isn’t brilliant. It isn’t genius, it isn’t even really all that good. What it winds up being is more fun than most films of its kind in recent years, with Transformers films crashing harder with each installment it was nice to see a movie about giant fighting robots and teenagers that I actually enjoyed. It may bug you, it may make you roll your eyes in places, but I defy you not to plaster a huge grin on your face and chuckle when “Go, Go, Power Rangers” starts playing and Zords begin charging across the screen. This isn’t something for the ages, it isn’t an instant classic, and it won’t break box office records but…it’s worth your time for sure.